DALLAS, March 16, 2017 — The American Heart Association Precision Medicine Platform — a global, secure data discovery platform, recently developed in collaboration with Amazon Web Services (AWS) — is now open for use. Researchers, physicians, computational biologists, computer engineers and trainees from around the globe can leverage this cloud-based resource to access and analyze volumes of cardiovascular and stroke data to accelerate the care of patients at risk of the number one killer in the United States and a leading global health threat. The AHA Institute for Precision Cardiovascular MedicineTM is calling on all cardiovascular and stroke dataset owners and stewards to share their data as the first step in acquiring all the pieces needed to treat and prevent heart failure, stroke, coronary artery disease, atrial fibrillation and other cardiovascular diseases. Data from clinical trials, long-running epidemiologic studies, registries and real-time health data acquired through wearable devices and technology is sought. Several organizations are leading the way toward the future of open data by contributing their information to the secure platform, including AstraZeneca, Cedars-Sinai Heart Institute, Dallas Heart Study, Duke Clinical Research Institute, Intermountain Health, the International Stroke Genetics Consortium, the National Heart, Lung and Blood Institute (NHLBI) and Stanford University. "The increasing breadth and depth of medical data presents a tremendous opportunity to generate more nuanced and precise pre-diagnoses. However, leveraging this data requires tools capable of integrating data of diverse origin. The AHA Precision Medicine Platform can empower researchers with both the framework and tools to ease the burdens of data harmonization, amplifying the insight available from their own data." Said Gabriel Musso, PhD, VP Life Sciences, BioSymetrics Inc., who has been actively using the platform during the initial phase. The AHA Precision Medicine Platform is the only resource of its kind focused on cardiovascular diseases and stroke. Researchers are not charged for accessing the data but will pay a fee for cloud computing capabilities based on the current AWS model. Any revenue from cloud-based computing will be used to fund AHA’s research initiatives. Through the tool, the AHA reaches across the government, academic, industry, and patient communities to deepen data resources and spur research opportunities with an aim to transform cardiovascular research and patient care. 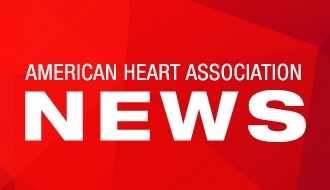 To further foster research aimed at reversing and preventing cardiovascular diseases and stroke, the AHA Institute for Precision Cardiovascular Medicine also offers a variety of grant opportunities for scientists and researchers from many different fields of study. The application process for several grants is currently open. The AHA Precision Medicine Platform is available at https://precision.heart.org/ and is a marquee project of the AHA Institute for Precision Cardiovascular Medicine. Additional information can be found at http://institute.heart.org/. The American Heart Association is devoted to saving people from heart disease and stroke – two of the leading causes of death in the world. We team with millions of volunteers to fund innovative research, fight for stronger public health policies, and provide lifesaving tools and information to prevent and treat these diseases. The Dallas-based association is one of the world’s oldest and largest voluntary organizations dedicated to fighting heart disease and stroke. To learn more or to get involved, visit http://www.heart.org/ or follow us on Facebook and Twitter. The American Heart Association Institute for Precision Cardiovascular Medicine is the only organization dedicated exclusively to advancing precision medicine in cardiovascular care. The Institute aims to preserve and prolong health by architecting more precise scientific discoveries – those that take into account a person’s genetics, environment and lifestyle – for better prevention and treatment of cardiovascular diseases and stroke. To learn more, apply for research grants or to get involved, visit http://institute.heart.org/.